There are a lot of common diseases that many people have to deal with. Some are curable, and others are controllable. Some diseases are a precursor to a more serious one. An excellent example of this is pre-diabetes. Pre-diabetes is a condition where an individual’s blood sugar is not within the normal range. It is what is sometimes called borderline diabetes. Some potentially severe consequences come with pre-diabetes some of which can mean that it could lead to diabetes two. How is Pre Diabetes Diagnosed? Quite often pre-diabetes is detected during a regular medical examination where the doctor orders some blood tests. Three standard blood tests can be completed to determine if an individual is pre-diabetic or has diabetes two or diabetes one. The individual who is having this blood test is asked not to eat anything for eight hours before the test. The test is designed to measure the blood sugar level of the individual. If the results indicate a reading of less than 100, then this is considered normal. Results that are between 100 to 125 strongly indicates pre-diabetes. A reading above this is an indicator of diabetes one. This is another type of test that can be done for the detection of pre-diabetes or diabetes. 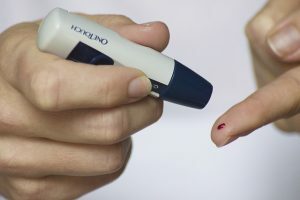 The individual taking the test is required to drink a sugar-based solution after having the fasting glucose test done. Then two hours after consuming the drink a second blood test is taken. The readings from the test will indicate whether they are normal, in pre-diabetes or diabetes is present. This test is called the Hemoglobin A1C. The results show what the average blood sugar levels have been for the previous two or three months. Sometimes a follow-up test is required to confirm the results. It will be up to the health care provider to know which of these tests are ordered or whether a combination of them is carried out. 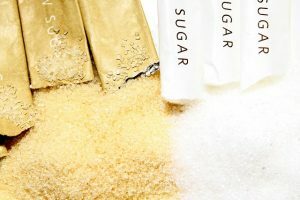 Is There a Cure for Pre Diabetes? 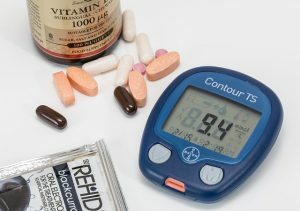 The danger with prediabetes is that if left unattended to it can turn into diabetes two which could lead to diabetes one. The good news is that most often with some changes in lifestyle this can be prevented and the pre-diabetes can be eliminated. Usually, the changes suggested are in the control of the individual’s weight which includes a healthy diet. Recommendations are made for the individual to start exercising. 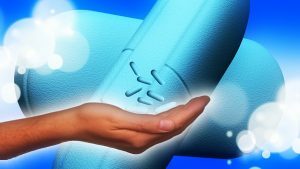 Can Pre Diabetes Be Prevented? An individual should do everything they can to prevent themselves from getting to the point where they are diagnosed with pre-diabetes. This is classed as preventative medicine. By making sure that an individual maintains a healthy diet and keeps their weight in control, it can help to prevent this condition. An addition to this should be a proper exercise regime. What are the Symptoms of Pre Diabetes? The danger with prediabetes is that it may not produce any specific signs that it is present. Potential warning signs could be that an individual is overweight, does not participate in proper exercise and/or is consuming an unhealthy diet. These can be the foundation for developing pre-diabetes. Knowing what some of the risks are that can end up with an individual having this disease is really important. Copyright © 2019 albertadiabetes.ca. All Rights Reserved.